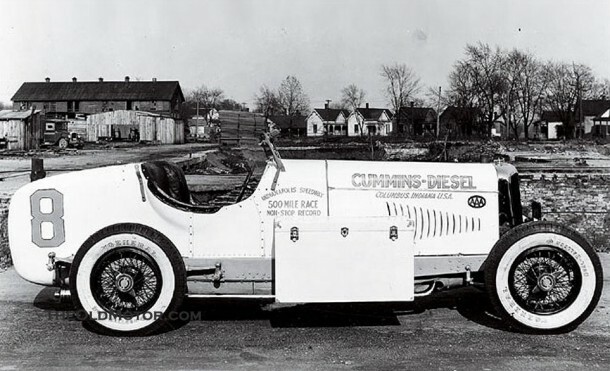 It’s not known exactly when, but the first diesel engine that Clessie Cummins saw was probably in 1917 or 1918, and likely made under license from the R.M. Hvid (pronounced Veed) Company. In the early 20th century, a Dutch man named Jan Brons invented a four-cycle, compression-ignition engine and was granted a European patent in 1907. The Brons engine did not use pressurized injection, which would prove to be a technical barrier for practical diesels. Using that engine as a basis, an American named Rasmus Martin Hvid in 1915 patented an “oil injection device” and a “hydrocarbon engine governor.” The first engines built under those patents were made by the Hercules Engine Company of Evansville, Indiana and marketed by Sears-Roebuck for stationary use under the Thermoil brand. Hvid licensed others, including Cummins, to handle any production needs that couldn’t be handled by Hercules. By then William Irwin was an official with the U.S. Department of Commerce, which may have helped in securing the license. Intellectual property in hand, with $10,000 from Irwin, Clessie Cummins incorporated the Cummins Engine Company in Columbus, Indiana in 1919. Cummins produced its first licensed diesel engine, an 8-horsepower stationary unit, the following year. They didn’t sell many, but it brought in enough revenue to stay in business. Cummins worked on improving the performance of the Hvid engine, simultaneously working on his own original diesel designs. It was a roller-coaster startup, with Sears initially ordering thousands of engines, only to return many of them and cancelling the remaining order. Cummins company lore puts the blame on cheap farmers, who bought the engines, used them for a season, then returned them for refunds. A more likely reason is that the Hvid Thermoil engines just didn’t work very well. That’s evidenced by other historical data and by the fact that Clessie Cummins diligently worked to improve them. With thanks, Ronnie Schreiber, The Truth About Cars.